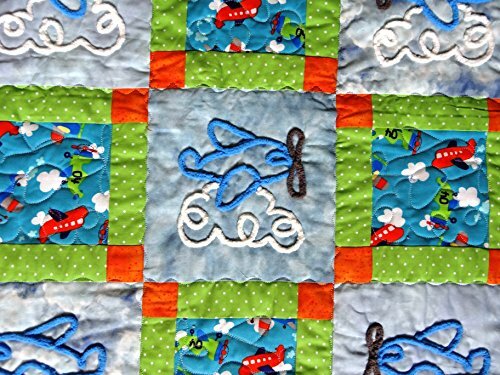 Here is a baby quilt that has airplanes on each block. Some are with a soft chenille and some are quilted on the airplane fabric. See pictures to see the detailed quilting. It measures almost 40 x 48 and has a flannel back for snuggling your baby. If you have any questions about this product by Paula Friesen Seek and Find It, contact us by completing and submitting the form below. If you are looking for a specif part number, please include it with your message.